Original cover by Richard Howell; Marvel 1985. Kathleen Gros's website is here. I love how they always have their costumes on...even while making breakfast or picniking by the lake. It's because you never no when the Salem's Seven is going to come up behind you and ruin your day. Good to see somethink properly girly n coloured pencilly n not photoshopee. 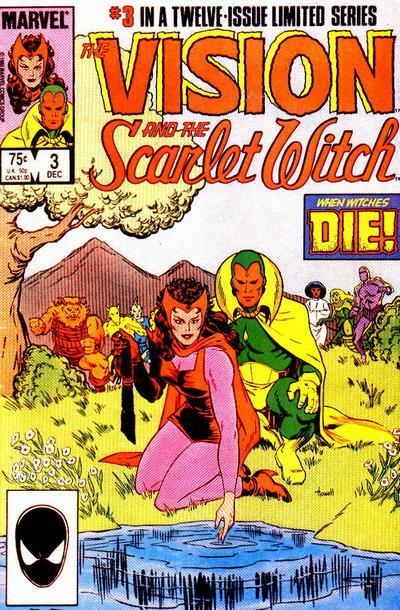 also in the orig do you not think the Vision looks like hes actually having a really good poo? I forgot to include it in my submission to Covered. fantastic use of medium. 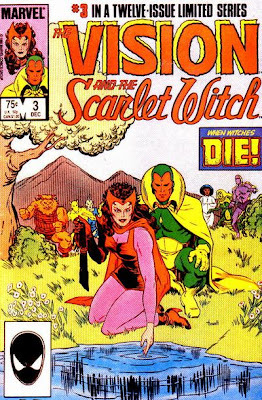 And I love your use of the vision's "S", very fun. Brilliant. 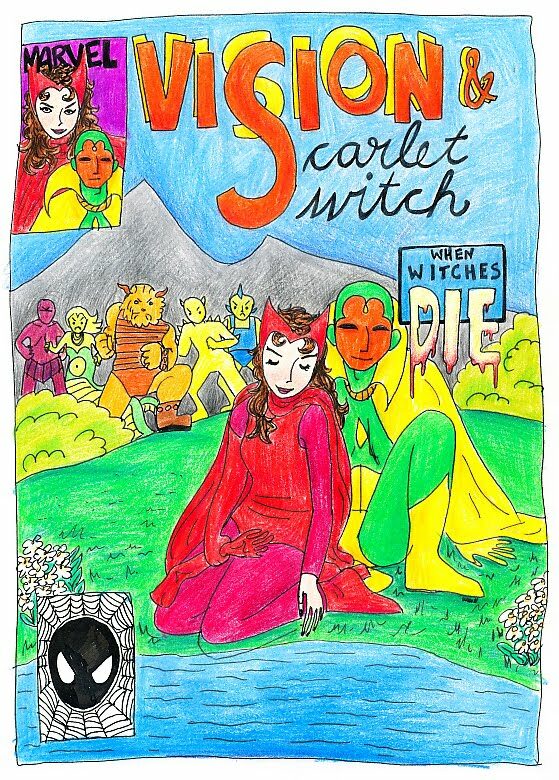 Most comics in raw pencil or coloured pencil irritate me, for some reason, but this is fantastic. Beautiful simplicity.